Camping with your entire family? You may feel super excited about the idea, but when you begin thinking about where you’ll all be sleeping you may start cringing at the idea. You probably imagine those small uncomfortable 1-meter tall tents where people struggle for some space and that hard-core mountaineers use for their expeditions. Well, the truth is, those tents are only reserved for people hiking on foot and spending all the time in the wilderness wandering around. Their tents have to be small and light-weight but when it comes to family tents, that’s a different story. Since you’ll be driving to your campsite, you won’t worry about how large the tent is, how heavy, etc. You only have to find it, and we’re to help you. 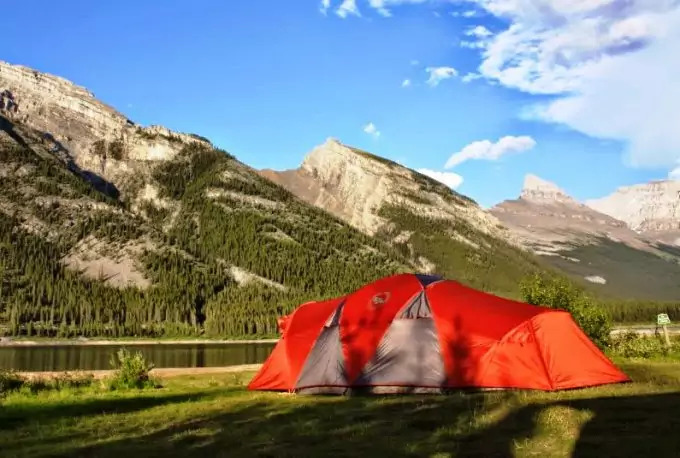 We’ve compiled a list with some of the most amazing and best car camping tents, which you and your family will absolutely love. Car camping will no longer look like a tedious task to prepare. You will all be impatient to go camping again and again. 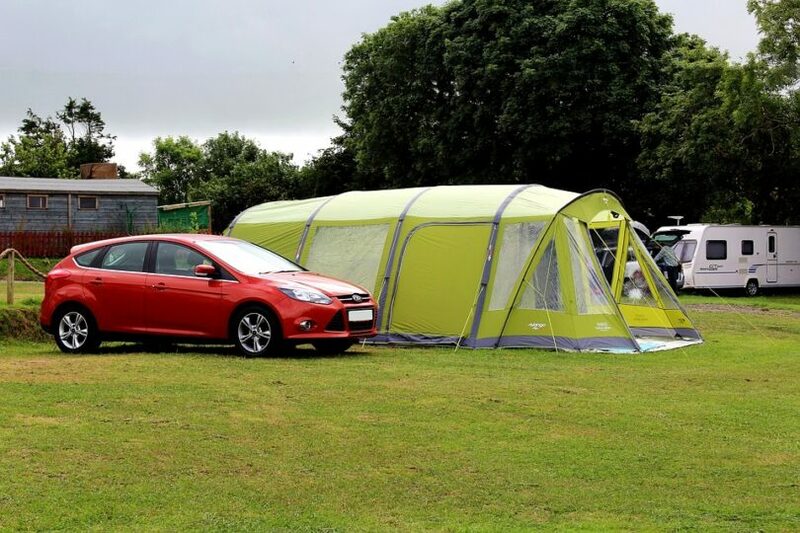 You may also want to learn a bit about the best cars to camp and we have a great list in this article. 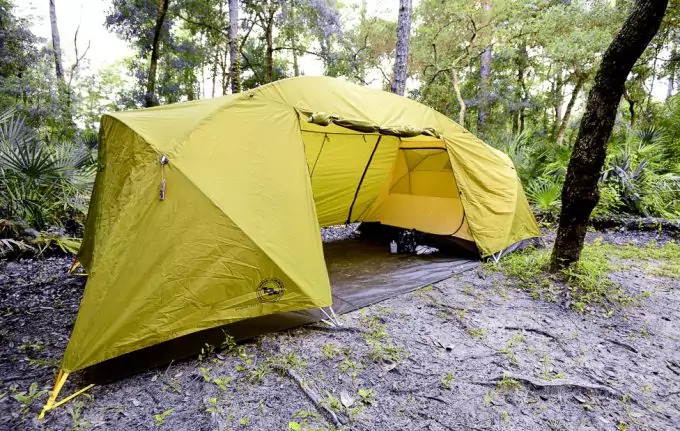 This tent won an Editor’s Choice Award in the Backpacker Magazine, when it was first offered to the public. It is made for a family of 4 and gives the option for privacy if you’re with your spouse, but need some time alone. Of maybe your children need their own space, without mingling with their parents. None of that is a problem if you purchase this tent. 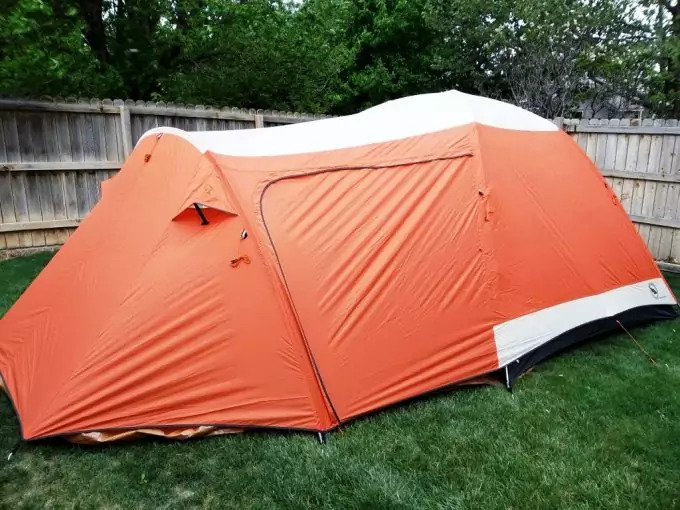 It’s a three-season tent and it’s tall enough so that an adult person can stand tall freely inside. It has a large enough vestibule where you can position some chairs and a table and enjoy a meal. The pole system for setting up the tent is made as intuitively as possible, so that you will spend as little energy and time as possible when preparing the tent. The poles are made of TH72M aluminum, which is the latest technology when it comes to very light material for camping. Both the fly on top of the tent and the floor have a silicone coating to make sure the tent is water-resistant. The overall material for the tent’s walls is nylon and polyester. The total square area the tent takes is 49 square feet and is 72 inches tall. As an overall judgment the tent is a pleasure to spend time in, it’s easy to set up and everyone who needs some privacy and own space can have it. This tent can give more space for a larger family of up to 6 members. The inner sleeping area is 10 feet by 10 feet (total of 100 square feet). The vestibule can be up to 78 square feet and the entire tent is 84 inches tall. The tent weighs around 18 to 19 kg but that’s not a concern since you’ll be car camping. Another nice feature, which appeals to customers are the windows in the main sleeping area of the tent. The tent is made of polyester mesh and is suitable for 3-season camping. The tent is also very easy to set up and it can require only one person to do the setting up. Of course, another person can help, but it’s not required. A slight downside to this tent is that it doesn’t feature any hanging rings or pockets inside, where you can attach some of your inventory, like pocket knives, cups of water, etc. Otherwise, it’s a canvas tent, which means it will endure strong weather and it can last for several years and more if you take good care of it. Here is a much higher quality tent, and as you may expect a bit more costly. Nonetheless, if you set aside a hefty amount of money for a good 4-person tent we highly recommend this one. 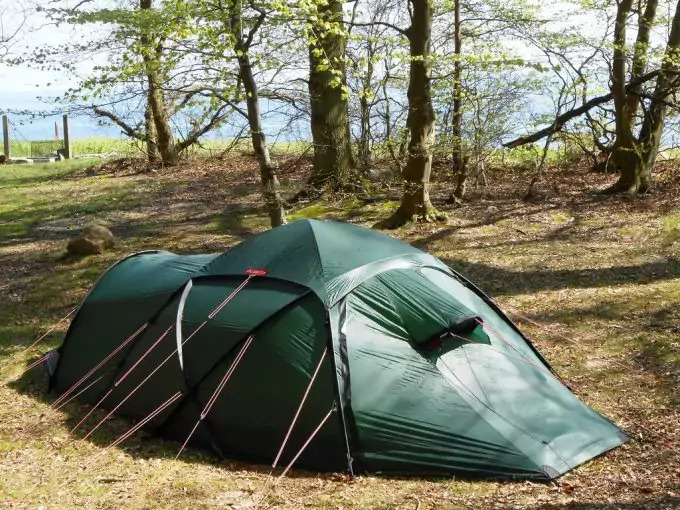 It made by a 40-year-old company with long experience in making quality tents. The company is European and has its inspiration from the Alps. The company isn’t as popular as some other, but it definitely offers unbeatable quality. The tent is made of Kerlon 1800, which makes it being more durable in severe weather conditions. The poles are 10mm and very light-weight, but nonetheless very strong and durable. The profile of the tent is like a dome, so it doesn’t accumulate snow. Yes, the tent is suitable for winter camping. So, if you’re a family who enjoys winter as much as summer, this may be your best choice. You may also want to learn a bit more about other gear items you’ll need in the winter so take a look at our reviews for sleeping bags for cold weather. The tent also has two vestibules and two entrees so you can be sure not to disturb anyone near you by walking over them during the night. You can simply exit the tent from the nearby opening. Overall, the tent is extremely sturdy and durable and according to Hilleberg it can withstand any type of weather, from strong summer winds in a remote desert, to the winter storms in a more mountainous area. The idea is that you can spend your time focused on the experience itself, and not worry whether your tent will rip apart by the wind. Its weight is about 14 lbs/6.6 kg. Its area is 53 square feet while the vestibule is about 30 square feet. This tent is suitable for 6-member families and features a vestibule and also, inside the tent, there’s a dividing mesh panel so that 2 people can be separate from the other 4. The tent screen is removable if you don’t need it. The ventilation is superb with loads of mesh panels. Setting up the vestibule though can be a bit bothersome, although the poles are color-coded for ease of setting up. The tent also has a fly, which can cover the entire tent and protect it from rain. Due to the well-set ventilation mesh system it’s virtually impossible to have condensation no matter the weather. 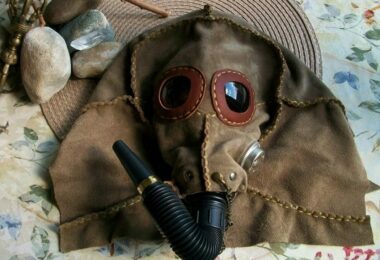 One customer reports that after camping for 7 days in a row, the only condensation he noted was in the vestibule, but the inside of the tent was intact. The same person though believes the tent can’t give sufficient comfort for 6 people if they need space enough. He thinks that 3 people at most would feel comfortable. Another person reports how quickly it is to set up the tent – no more than 20 minutes, and done by only one person. So, if you ask one of your family members to help you, you can effectively do the same for half that time. Overall, you will be pleased how dry you will be inside, no matter the weather. 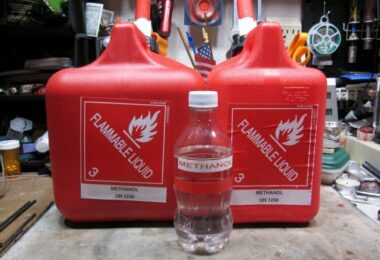 Another customer shares his experience how he and his family went on a 3-day camping, in 30 degrees F, strong winds and quite a lot of heavy rain, and they were fully dry inside the tent. Again, the only condensation he reports is between the rainfly and the tent itself. After all, depending on how many people are inside, condensation is essentially unavoidable. A great thing about this tent is that it’s tall enough so that an average adult person can freely stand straight up in the middle of the tent. This definitely gives more comfort and reduces the feeling of being cramped inside with other people. Yet another large tent! With a large vestibule and divider so 2 people can have their privacy from the other 4. The tent has mesh panels of polyurethane coating, which is essentially water-resistant and yet, breathable enough to let moisture escape, thus reducing the chances for condensation. The weight is very low for this type of tents – 18 lbs. 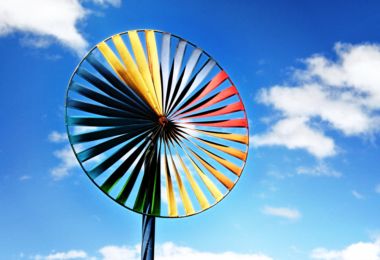 And yet, it’s quite durable and sturdy and you can rest assured that it will withstand some windy weather. It’s true that it’s not as tall enough as some of the above listed tents, but it’s still worthy of consideration. The total height is 66 inches and the surface area is 95 square feet for the tent and 26 square feet for the vestibule. Some people though report that sometimes the tent got ripped at some places during extreme winds. Another person also shared how the footprint of the tent got punctured by a stone, which he didn’t while clearing the ground for the tent. He believes that it’s unacceptable for such a pricey tent to so easily get punctured by a small stone. Another person got some poles broken, but thanks to the good customer service the manufacturer offers, they got a replacement. Besides these imperfections overall people are very pleased with the spaciousness and virtually total lack of condensation inside. When it comes to that you won’t regret the purchase. MSR Backcountry Barn indeed looks like a barn, since its walls are so steep that they are nearly vertical, thus giving as much space as a house room. The nylon is coated with ripstop, to give it more durability in heavy wind conditions. It can comfortably be utilized by 4 people, but if needed you can shelter a 5th person. The height is nearly 2 meters (74 inches). It’s 75 square feet and overall 346 cubic feet of volume. You will also enjoy a lifetime warranty, so you can send it any time to the manufacturer in case something happens, and you’re not responsible for that. Otherwise, setting it up may require two people since it’s very large and one person only may have difficulties with that. The tent is single-walled and is best suitable for warmer conditions (3-seasonal) and it’s not a good idea to use it in the winter time. The ground floor can be detached from the tent itself if you want to place camping table and chairs inside it, without damaging the floor. When it’s sleeping time, you can attach the footprint again and sleep comfortably. The only thing it lacks is a large vestibule, which most tents have, but since you can remove the inner floor, the entire tent can be used as a covered vestibule. 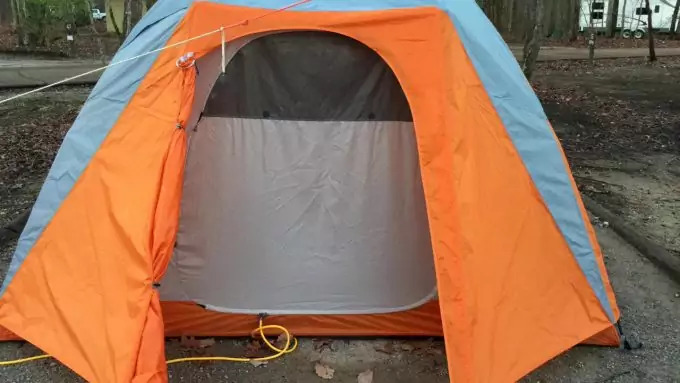 Another thing you may have to aware of is that it doesn’t have mesh windows and various ways for avoiding condensation, but as it’s more of a 3-season tent that should be much of a problem, since condensation is more problematic during cold weather. Here’s a tent that won’t disappoint you. It’s a 3-season tent, you can freely stand upright inside; it features a spacious vestibule and 6 persons can sleep in the tent. There are also two doors, so you will have different ways of exiting the room without disturbing the others. The doors are D-shaped and the zippers are very smooth and easy to manipulate. The vestibule is a whopping 110 square feet area. There’s also another much smaller second vestibule with its modest 11 square feet. The tent itself is 86.5 square feet and is tall 72 inches. The floor is 15 cm and is water-resistant. The seams of the tent are fully taped so there’s no risk of ripping. Also it’s very light and easy to handle. You’ll also enjoy a lifetime warranty with this product. The tent is made of polyester mesh and it’s breathable to let moisture escape easily. The tent is coated with water-resistant polyurethane. The poles are made of TH72M aluminum, making them light and yet sturdy. The total amount of poles is 17. The tent itself weighs nearly 18 pounds. People report how happy they were using the tent. Some share how they carried along inflatable mattresses, which can add quite a lot to the comfort inside. The same customers experienced heavy rainstorms including very strong winds, and shared how some of the nearby camping tents got flooded or destroyed, but the Big Agnes tent remained dry inside. When it comes to the vestibule, people share that it’s very big and you can even park an SUV in it. In addition, it takes very little time to set it up – some customers share that it takes one-third the time to set up a King Creek tent in comparison to a Coleman tent. 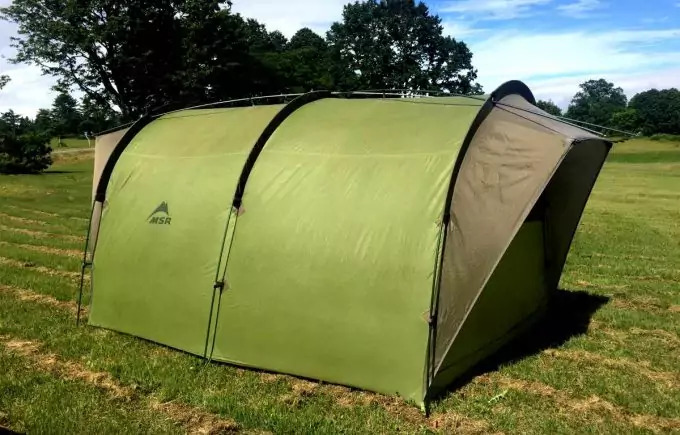 Overall, this is possibly one of the best tents as nearly everyone who used it is very pleased and satisfied with the product. If you need lots of space, water-resistance and ease of handling, then this is your tent. You will also rest assured that it will remain in one piece even after strong storms.